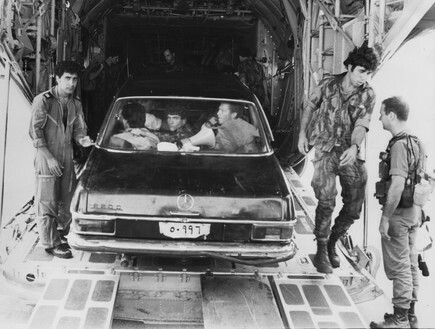 On June 27 1976, an Air France airplane that had departed from Ben Gurion Airport was hijacked by Arab and German terrorists. The plane was forced to land in Entebbe, Uganda. Idi Amin, the president of Uganda, who had coordinated his actions with the terrorists, received them with open arms. The 106 hostages were held in the old terminal of the airport guarded by the terrorists and the Ugandan army. The terrorists threatened that if their demands to free tens of imprisoned terrorists in Israel weren’t met, the passengers would be murdered. 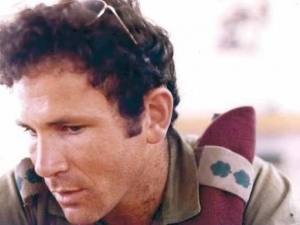 On July 1, Yoni Netanyahu received orders to plan and prepare his unit, Sayeret Matkal, the elite commando unit, for the mission to free the hostages in Entebbe. The unit’s mission was to take over the old terminal, free the captives, kill the terrorists, fight the Ugandan army, and prevent backup troops from reaching the terminal while the captives and other soldiers were being flown out of Entebbe. 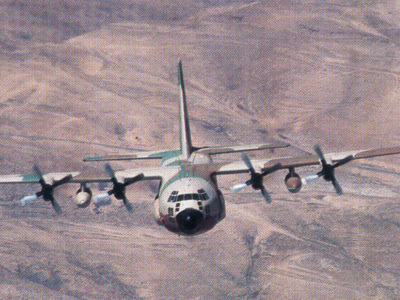 The Israeli forces, aboard four Hercules planes, took off from Sharm el Sheikh in the direction of Africa. The forces were aboard three of the planes. Yoni’s assault unit, which consisted of 29 commandos, was aboard the first plane. At exactly midnight, Uganda time, the first plane landed at the Uganda airport. Yoni and his men got off the plane, got into a Mercedes and two Land Rover jeeps, pretending to be Ugandan soldiers, and drove off in the direction of the old terminal, where the hostages were being held. The first contact was made with Ugandan guards and that was followed by a short battle with the terrorists and still more Ugandan soldiers. The terrorists who guarded the hostages were killed immediately. During the battle, while Yoni was advancing, he was hit in the chest by a bullet from a Kalashnikov rifle. He lay, mortally wounded, opposite the hall which held the hostages. The operation was a great success. The hostages were freed. Feelings of immense national pride, mutual responsibility and heroism swept through the country. These feelings remained with the Israeli public for many years – Israel will not abandon the fate of its citizens to others. All the medical team’s efforts to save Yoni failed. Yoni died at the entrance to the airplane that the freed hostages were being led into. 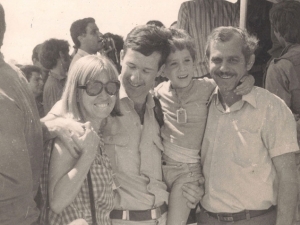 Yoni was the only member of the Israeli force that was killed; one other soldier was wounded in the new terminal and three of the 106 hostages were killed in the exchange of fire with the terrorists The next day, a fourth hostage was executed by Idi Amin’s henchmen. Yoni Netanyahu’s body was aboard the plane that was evacuating the hostages. The plane took off, flew to Kenya and from there to Israel. Hardly any of the freed hostages knew that the fallen soldier was the commander of the force that was responsible for their rescue. Yoni was buried in Har Herzl, next to David Elazar, the chief of staff during the Yom Kippur War. Thousands attended his funeral. Yoni’s name, which until then had been unknown outside of the army, became known all over Israel, overnight. Yoni’s deeds, thoughts and ideas, which appeared in the book, Letters from Yoni, are a source of inspiration for many in Israel and all over the world. Yoni was born on March 13, 1946, in New York. His parents, Ben-Zion and Tsila, were there, working for the Revisionist Zionist Movement to help establish the Jewish state. Later, he joined the army and volunteered for the parachutists. Yoni was an excellent soldier, who went through the exhausting training of the parachutists with relative ease and finished the different courses with honors. He was accepted to an officers’ training course, which he finished as the company’s outstanding cadet. He then commanded a parachute platoon. During this period, there was an increase in terrorist activity against Israel, and Yoni and his soldiers participated in reprisal acts in the village of Samu, which is in the south of the Hebron Mountain. are criss-crossed across her dress.